What are the possible side effects from using Omnitrope? Once again, it is important to know that not everyone gets these side effects. Some people may get a few or none. Some people may get many of them and get them in a pretty severe way. We just want to educate our patients as to what Sandoz Omnitrope side effects are in case you feel something out of the ordinary. This does not mean that you will feel anything wrong; however. If you do experience a problem when you are taking your Omnitrope injectable medications, get immediate attention. Please either call us during normal business hours or visit a med clinic or the emergency room. This does not mean that something serious is happening, but we just want you to be safe and get looked at by a doctor. It is always better to be safe than sorry. On the other hands, please understand that when you work with Greenberg Health and you get a prescription from our licensed doctors, it is extremely rare that any side effects from Omnitrope will occur. We just always want you to be educated and informed about all aspects of hormone replacement therapy (HRT). 1. They are not over 30 years old and their bodies do not need excess human growth hormone in the system. However, they take it anyway and overload the body with HGH. 2. They are not following their prescription or treatment plan that was written for them specifically. Take note that when you work with Greenberg Health, you are required to get full testing. This will include a blood sampling, a physical exam and to share your medical history. Blood testing: This is to check the levels of IGF – 1 (insulin like growth factor 1) levels in the blood. This will quickly tell a doctor if you are dealing with a growth hormone deficiency. If you do not have a deficiency in your GH, you should not take HGH. A physical exam: This is done so that a doctor can tell if the person is dealing with other health issues that might be causing their ailments. 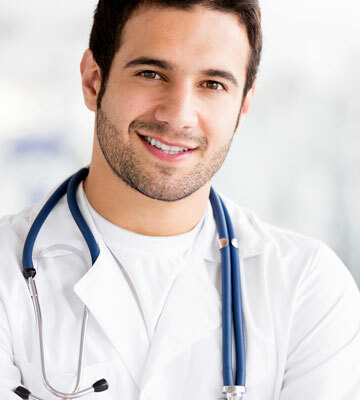 We like to rule out any other possible medical conditions for health problems before we conclude that a growth hormone deficiency is what is causing the issues you are having. Also, if we give medications to someone with an existing medical condition, this could possibly cause a risk for Omnitrope side effects. That is why a physical exam is so important. A medical history: Each patient will be required to fill out our simple medical history form that can be found on almost every page of our website. Once it is filled out and sent to us, it will reach our doctors through a secured online connection. This medical history will give the doctors even more information about your health in order to come to the conclusion that you will be a good candidate for HRT and that you will most likely not experience any side effects of Omnitrope. 3. They are not using a reputable HRT clinic. When people want to get around paying the full cost for HRT or will not be seen by a known clinic because they are not candidates for HRT (they are too young or do not have a GH imbalance or depletion), they may still try to get these hormones, but from skeptical sources. This can be very dangerous. A person can buy their hormones cheaply from an unknown source on the Internet, from a non-legal clinic or from overseas. When they do this, they may end up purchasing fake, tainted or cheaply made medications. Then they may end up experiencing terribly uncomfortable and risky Omnitrope 5.8 mg side effects, for instance. It is never a good idea to skimp on your HGH medications (or any other medications). Never purchase medicine from overseas or from an unknown source. This is just simple common sense. You should only use medications that you know are real. The only way to do that is to work with a reputable HRT clinic that has a great reputation and a successful track record. They should mandate testing and provide full medical supervision from licensed doctors who read test results, diagnose and prescribe these medications. The clinic will most likely have great reviews written by their past clientele and other professionals in the field will recommend them to you. Follow our suggestions and you will infinitely reduce your risk of ever experiencing any Omnitrope side effects for men or for women when you partake in HRT.